If you have a passion for music and quality sound, chances are your car’s stock stereo system is bothering you. Most car manufacturers focus on powertrain design, while they fit their cars with average sound systems that are just good enough to satisfy an average customer. The thing is, if you’re an audiophile, you’re not an average customer – you want all of your devices to provide you with the best sound quality. After all, research shows that an average American spends 26 minutes commuting, which translates to 520 minutes every month. That is a lot of time to be listening to your favorite tunes being butchered by a poor stereo system. However, as industry-specific terms like ”frequency range” and “power handling” start being thrown around, it can be quite easy to get lost. 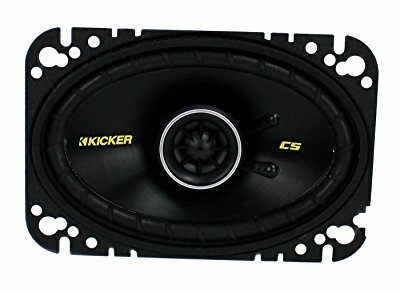 That’s why I made this list of the best 4x6 speakers for your car that are sure to satisfy even the toughest sound purists. With 4x6 being one of the most common car speaker sizes, there are plenty of options out there. Let’s get into my top five picks. As Pioneer is one of the leading brands in the industry, their car speakers are rarely a bad choice. In these speakers, Pioneer designed the spider using the same material as their high-end PRS series. They are quite small and light, which makes them easy to fit in your car without any modifications. The cone structure features a multilayer mica matrix, which improves responsiveness even at high volumes. They have a power handling rating of 200W, which makes them compatible with most amplifiers, including your car’s stock receiver. Although their 88dB sensitivity falls slightly short of many entries on this list, this doesn’t really mean anything except you have to turn up the volume a little to get the same sound level as more sensitive speakers. 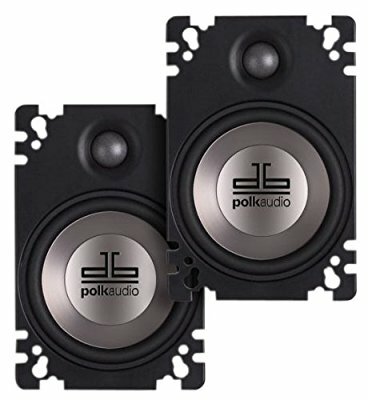 These speakers have quite a high sensitivity of 91dB and a very large magnet, both of which provide you with a strong kick and a great sound experience. The highs are crisp, and they stay that way even at the highest volumes. The cone is made out of dynamic balance polymer/mica composite, which reduces vibrations and provides additional stability. However, as with many 4x6 speakers, their bass could definitely use a subwoofer and an amp, especially since their size doesn’t allow them to really bang. Overall, these speakers provide a solid audio experience, with great sensitivity and nice sounding mids and highs. 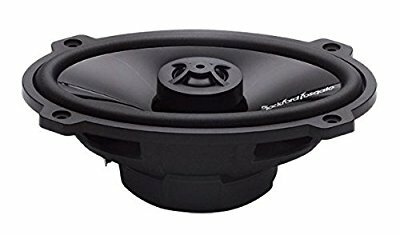 One of the most popular 4x6 speakers on the market, the Rockford Fosgate Punch features a sleek design with some great features that make it extremely easy to fit into any car. It has the FlexFit basket design and a 6×8 inch adapter plate, both of which make it easy to make adjustments when mounting. Probably my favorite thing about these speakers is the Vertical Attach Surround Technique. It increases the radiating cone area, which results in deep, strong bass and high quality midrange that will satisfy even the pickiest audiophiles out there. It also has a low 70W maximum power handling or 35W RMS, which means your stock, low-output car stereo should be more than enough. Thanks to their flat panel depth and coaxial design, these Kicker speakers can fit virtually anywhere you want to put your 4x6 speakers. They are small and easy to install, but they are also pretty well-built and durable. 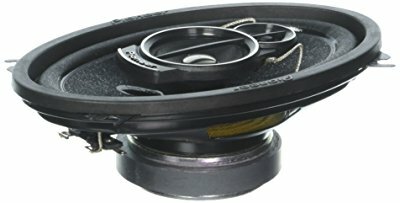 As for sound, their highs and mids are great, but you may want to think twice before substituting your stock speakers with this model, as their bass is next to non-existent. However, they do work great with an amplifier or a subwoofer, since their peak power is at 120W and their RMS is 40W. This means they can take a solid amount of power on a consistent basis, when combined with a strong amp. Even without an amplifier, they are still a good choice if you prefer music like rock and pop rather than deep bass techno or similar genres. At first glance, these speakers don’t offer an extremely quality sound, as they have a quite narrow frequency range (100Hz - 18kHz) compared to other entries on this list. As audible bass frequencies start at 20Hz, this means that the Boss Chaos Exxtreme doesn’t really give you the necessary performance in terms of the really deep lows. In fact, when played on their own, you can make a case that they are the worst performing speakers on this list. So, why am I even writing about them? Well, if you’re looking for speakers to maximize your stereo’s sound output, these might be the best 4x6 speakers for you. They can handle a great amount of power with a peak of 250W, and they can play at high volumes without distortion. Their durability is further enhanced by an aluminum voice coil which isn’t affected by high temperatures. 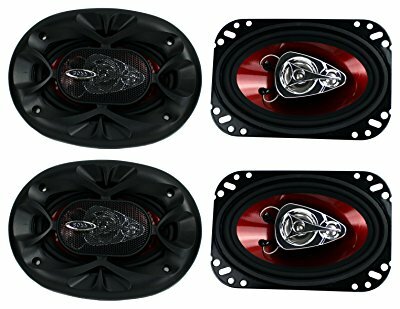 If you have a powerful amp set up, these speakers are my recommendation. These are one of the key values you need to pay attention to when buying new car speakers, as they both indicate how much power the speakers can take, only with one major difference. Peak power rating indicates the amount of power the speakers can handle in short bursts, while RMS (Root Mean Square) wattage tells you how much power a speaker can take on a regular basis. All manufacturers will tell you that, if you want to preserve your speakers, you should stick to the RMS rating. Although some speakers can take as much as 250W, you should know that this kind of power takes a toll on your speaker’s voice coil. A speaker’s voice coil and magnet move the cone to make sound but too much power and current will overheat the voice coil and burn some of the coil of wire. This is why a “burnt” speaker makes scratchy noises. Frequency is a very important indicator of sound quality. If you want speakers with powerful deep bass and colorful mids and highs, you have to find speakers with a wide frequency range. Speakers that start at 50 – 100Hz will do the trick. Subwoofers can help you expand the low frequency range of the speakers, but you should still pay attention to the speakers’ frequency range, as it can be a good indicator of quality. Before shopping for new speakers, pay attention to the size and shape of your stock speakers. Many speakers don’t come with options that let you fit them into your particular vehicle. 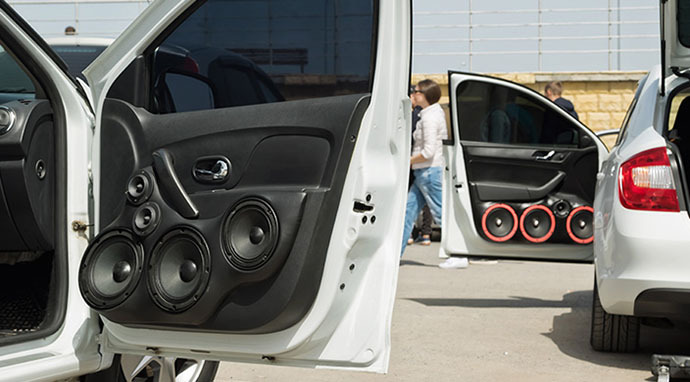 Although many oval-shaped speakers come with square plates, make sure you don’t need to make any adaptations to your car in order to fit them. Go for speakers with many drilling holes and plates. The cone material plays an important role in sound production. With all things equal, stiffer materials will produce the least vibrations. All of these speakers will surely be an upgrade over the stock speakers in your car. 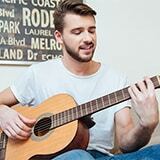 Whichever model you choose, you should expect an instant improvement in sound quality. However, do keep in mind that unlike larger speakers, 4x6 speakers won’t impress you with their bass, unless you have a subwoofer or an amp. If you’re into house or similar music with lots of low bass, you may want to consider investing in an amplifier to truly enjoy a deep, pumping bass sound.